Claire Heffron and Lauren Drobnjak are pediatric occupational and physical therapists with a passion for promoting healthy development for all children. 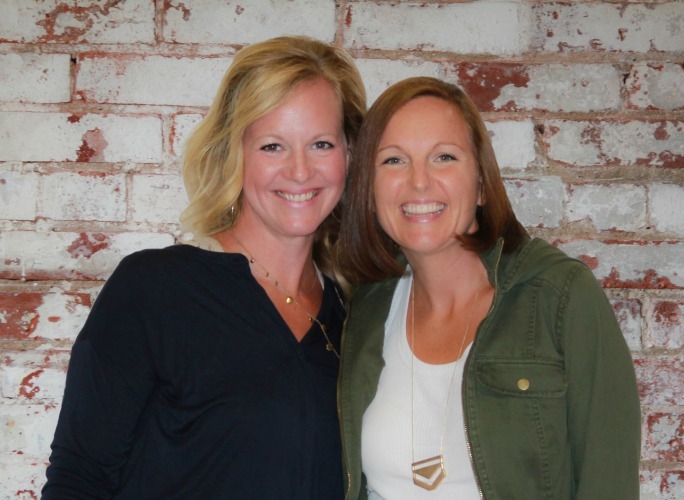 They are also the co-creators of The Inspired Treehouse, a blog where they share activities, resources, and tips to help readers conquer common developmental issues that come up for kids. 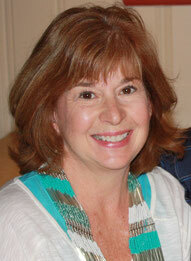 Lauren has practiced for more than 18 years in both clinical and school-based settings. She is a graduate of the Youngstown State University Physical Therapy program. Lauren is a busy mama of 3 who thrives on chaos. Her drive to make a difference in the lives of kids has led her entrepreneurial spirit in the direction of creating opportunities for play-based wellness and skill development. Claire has worked for 10 years as an OT in public and specialized school settings. She has a Master of Science in Occupational Therapy from The University of North Carolina and is a mom of 3 boys. Claire started off with an undergraduate degree in magazine journalism and loves blogging as a way to combine her talents as a writer and her experience as a therapist in a unique way. 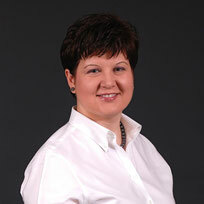 Julie Clark is Managing Director, Leadership Development, at Business Volunteers Unlimited (BVU). Julie provides guidance and consulting to nonprofit board and staff in the areas of governance/board development, succession planning, strategic planning, and organizational capacity assessments. For more than 10 years, she led BVU’s board matching program, where she prepared, trained, and matched business professionals to nonprofit board opportunities. In addition to serving as President of the Board of The Treehouse Ohio, Julie serves as Secretary of the Board of South Suburban Montessori School in Brecksville. She holds a Bachelor of Arts in Communications from Baldwin-Wallace College and a Master of Arts in Communications Management from John Carroll University. Julie lives in Brunswick with her husband Aaron and their son Rogan. Borbala Banto is the managing partner of Concierge CPAs, Inc., a CPA and business advisory firm that helps law firms and other professionals improve their financial performance and get control of their numbers. She serves on the board of several local non-profits and is passionate about helping women and minority owned start-ups get off the ground. She works and lives in Brecksville with her husband, Attila, their four kids (all of them under the age of nine), and their little Pomeranian called Fluffy. William (Bill) Benoit, MOT, MBA, OTR/L, FACHE is the President of UH Portage Medical Center in Ravenna, Ohio. He is a graduate of The Medical College of Ohio, Morehead State University and the University of Toledo. He lives in Hudson, Ohio with his wife Kami and daughters Hailey and Addison. Heather Rhoades is the owner and Head Gardener at Gardening Know How, one of the largest and most visited gardening websites on the internet. Heather maintains her own gardens around the outside of her historic home in Bedford, OH where she lives with her husband and five (yes 5) children. She is also councilwoman for the City of Bedford. In her spare time, she also enjoys cooking and renovating her home. Brandy Rigby graduated from Ohio University in 2010 with a Bachelors Degree in Early Childhood Education. She plans on pursuing her Masters Degree in Curriculum and Instruction. Brandy has been teaching for 6 years in the Bedford City School District; five years as a kindergarten teacher, and one year as a first grade teacher with both regular education / special education students. She has 2 rescue dogs that she loves to spend time with along with family and friends. Brian Adams, MOT, OTR/L is the Manager of Business and Ambulatory Development for University Hospitals Regional Hospitals with campuses in Bedford and Richmond Heights, Ohio. He holds a Master’s Degree from Eastern Michigan University in Occupational Therapy. He is a licensed occupational therapist with clinical expertise in neurological rehabilitation and seating and mobility. Brian is the owner of Inertia Mobility, LLC, a private practice focused on home-based mobility/wheelchair evaluations. Brian lives in Twinsburg with his wife Liza and infant daughter Evelyn.